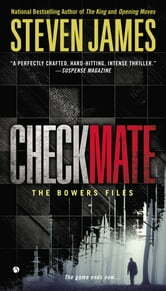 In Checkmate, critically acclaimed novelist Steven James offers a climactic chapter in his bestselling series, the Bowers Files. Clues lead to long-forgotten secrets buried deep beneath Uptown Charlotte, North Carolina. Now Bowers is caught up in trying to stop one of the deadliest attacks ever planned on American soil. 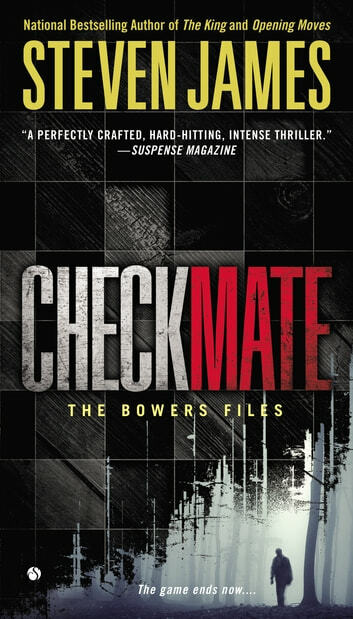 Smart, tense, and full of mind-bending twists and turns, Checkmate explodes onto the scene, bringing this cycle of the Bowers Files to an unforgettable conclusion. I love this book. I love the whole story and the way it got you glued to keep reading to find out what is going on and what the out come would be, just amazing. Can't wait to read another Patrick Bower series. The final book of the series keeps you on the edge of your seat until it's conclusion A fantastic book! Steven James doesn't disappoint! A VERY hard but real account of terror as it is frequently seen today. An excellent end to the series. I thoroughly enjoyed reading it. It keeps your attention until the very end!